1) National Science Day celebrated: 28th February every year is celebrated as National Science Day across the nation to mark the discovery of the Raman Effect by Indian physicist Chandrasekhara Venkata Raman (CV Raman) on 28 February 1928. This day is celebrated every year on this day to spread a message about the significance of scientific applications in the daily life of the people. The theme for 2014 is “Fostering Scientific Temper and Energy conservation”. 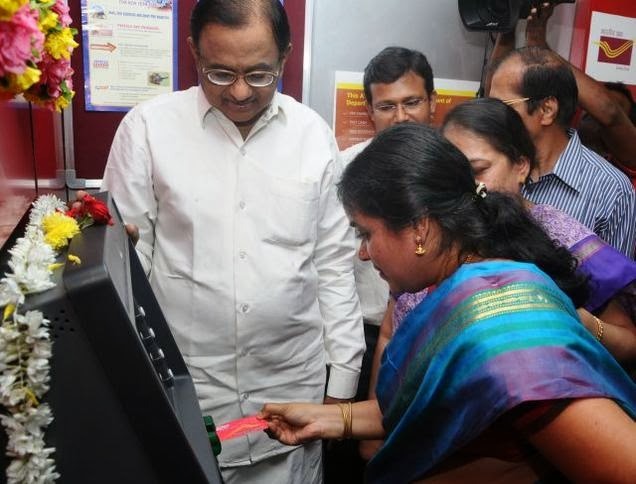 2) India’s first post office savings bank ATM inaugurated in Chennai: Union Finance Minister P. Chidambaram on Thursday inaugurated the country’s first post office savings bank ATM at the Head Post Office in Thyagaraya Nagar in Chennai. The ATM was part of an Information Technology (IT) modernisation project of the Department of Posts. Mr. Chidambaram said a total of Rs. 4909 crore had been allotted for the modernisation in the interim budget. “The launching of the ATM was a step towards making the department a completely technology oriented one,” he said adding that the Core Banking Solutions (CBS) scheme would benefit as much as 1,55,000 post offices. 3) Andhra Pradesh to be under President’s Rule: Ending days of suspense, the Union Cabinet on Friday recommended imposition of President’s Rule in Andhra Pradesh while keeping the Assembly in suspended animation. There was political uncertainty after Chief Minister N. Kiran Kumar Reddy resigned and quit the Congress in protest against the decision to bifurcate Andhra Pradesh. Placing the Assembly under suspended animation is a mere technicality as its term ends on June 1. Andhra Pradesh will have simultaneous election with the Lok Sabha. 4) Centre Hikes DA by 10% for 80 lakh Employees and Pensioners: The Centre on Friday raised dearness allowance to 100 per cent, from 90 per cent, benefiting its 50 lakh employees and 30 lakh pensioners. The government also approved the terms of reference of the 7th Pay Commission, a move which would pave the way for merger of 50 per cent DA with the basic pay. The Cabinet also approved minimum pension of Rs 1000 per month under the Employees Provident Fund Organisation, EPFO. 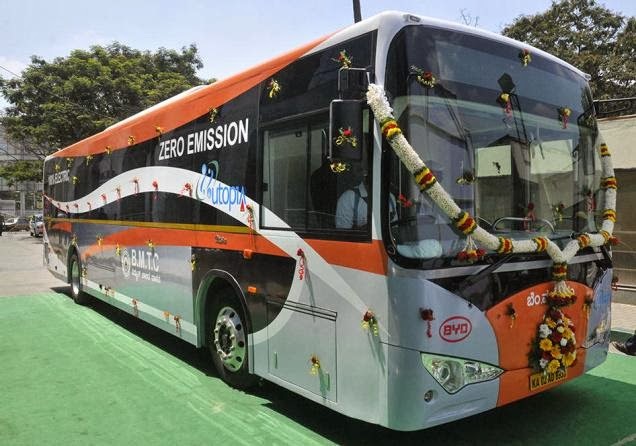 5) Bangalore gets India's first electric bus: In a first-of-its-kind in the country, an electric passenger bus, with zero emission level, was inaugurated by Transport Minister R. Ramalinga Reddy in Bangalore on Thursday. An initiative taken up by Bangalore Metropolitan Transport Corporation (BMTC), in co-ordination with Utopia, the air-conditioned 31-seat coach has a range of 250 km with a full battery charge (four to six hours). 6) Shankar Mahadevan’s song “Mujhse hogi shurvaat” nominated for Honesty Oscar Awards: Singer-composer Shankar Mahadevan is on Cloud Nine as “Mujhse hogi shurvaat” by I Paid a Bribe and the Shankar Mahadevan Academy has been nominated in the best activist anthem category of Honesty Oscars 2014. A few days before the 86th Academy Awards, campaigning and advocacy organisation ONE and Accountability Lab started unveiling the nominations for Honesty Oscars 2014, an award that honours not Hollywood films, but the creative work of activists and organisations that fight global corruption. 7) Chandi Prasad Bhatt wins Gandhi Peace Prize for 2013: The Gandhi Peace Prize for the year 2013 has been awarded to eminent Gandhian and environmentalist, Shri Chandi Prasad Bhatt. The jury for the prize met under the chairmanship of the Prime Minister Manmohan Singh on 18th February 2014 and decided upon his name. The other members of the jury were Justice P Sathasivam, leader of opposition Sushma Swaraj, Rajya Sabha MP Karan Singh, and ex-governor of West Bengal Gopalkrishna Gandhi. Chandi Prasad Bhatt, born in 1934, is a noted Gandhian environmentalist and social activist. He was one of the pioneers of the Chipko movement for which he was awarded the Ramon Magsaysay Award in 1982. 8) Arvind Saxena is president and managing director of GM India: General Motors on 28 Feb 2014 announced the appointment of Arvind Saxena as the new president and managing director of GM India with effect from 1 March 2014. Saxena will succeed Lowell Paddock, who is moving to GM International Operations (GMIO) as vice president, planning & programme management. 9) Arseniy Yatsenyuk approved as Ukraine's new prime minister: Ukraine's parliament has approved Arseniy Yatsenyuk as the country's new prime minister. The vote was held Thursday amid the sharp rise in tensions in the southern Crimea region, where gunmen seized local government buildings and raised a Russian flag. The 39-year-old Yatsenyuk has previously served as the economy minister and foreign minister, and a speaker of parliament. 10) Legendary Guitarist Paco de Lucia passed away: Legendary Spanish guitarist Paco de Lucia passed away in Mexico on 26 February 2014. He was 66.He recorded his first album at the age of 18 in Madrid. He was reputed for a series of flamenco albums in the 1970’s which inspired a New Flamenco movement. 11) India Lost Asia Cup 2nd match to Sri Lanka: Kumar Sangakkara hit a brilliant 103 as Sri Lanka survived anxious moments to overcome India by two wickets in a thrilling last-over finish on Friday, securing their second win in the Asia Cup.